Is there a food item that you can eat with almost anything? Mine is green onions! I love how they make such a big difference in my food. This is a must have item to grow for my future garden. I've been cutting a bunch of these and storing it my fridge for future use and I'm already half way through my container. 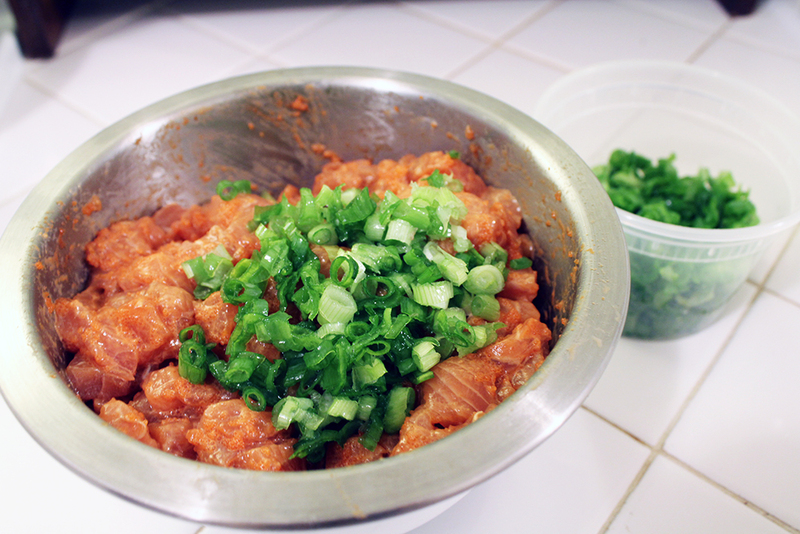 And this week we get to eat yummy salmon poke...with green onions of course.